I grew up in Daytona Beach, Florida. It is safe to say my favorite vacation destination is somewhere near a beach. It is so relaxing for me to hear the waves as you are walking along the shore. My husband Chuck and I have lived in Gainesville for about 18 years. We consider Gainesville our home and love living here. We have two children, Erin and Christopher. Erin is a college student currently at Florida Atlantic University, with hopes to transfer to UF soon. She is staying busy with studies and a new puppy. Christopher is a student at Newberry High School. Christopher has asperger’s, which is a form of Autism. 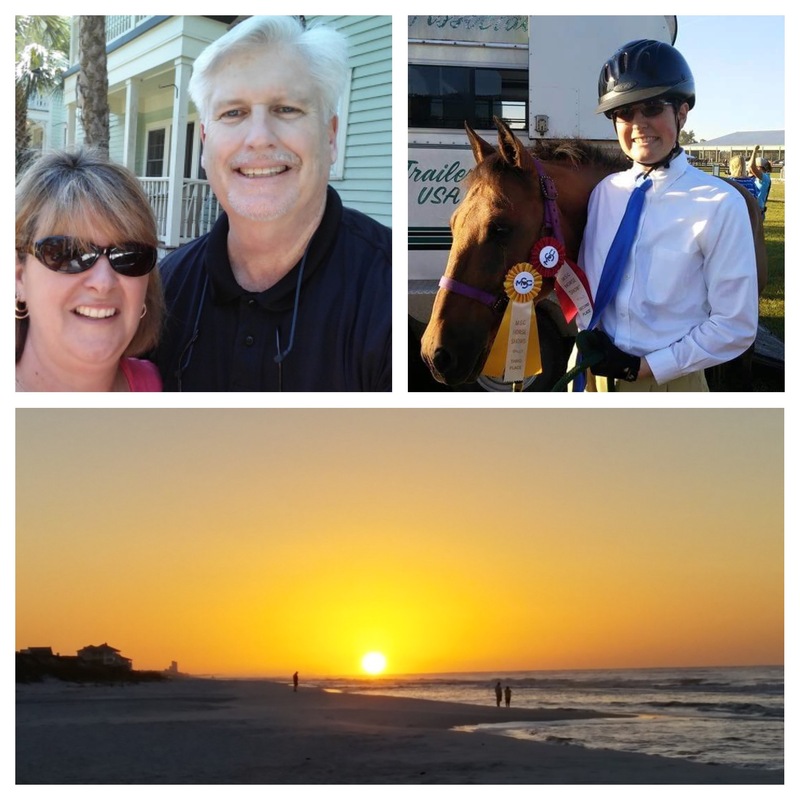 He enjoys therapeutic horseback riding and we spend many weekends watching him compete in various riding events. You can often find my husband and our family working in our yard, relaxing by the pool or going to a Gator sporting event on the weekends. My career started recently in 2015 at McGriff-Williams Insurance doing accounting work. I have been in some form of accounting job for over 22 years. I graduated from Florida Southern College with a Finance and Marketing degree. I enjoy working here with a great staff of people. Favorite Gainesville Activity: Going to various Gator sports events and art festivals. Favorite Florida Activity: Going to Sanibel Island looking for shells. Favorite meal: Breakfast on Sunday mornings.